Thanks, Jim! 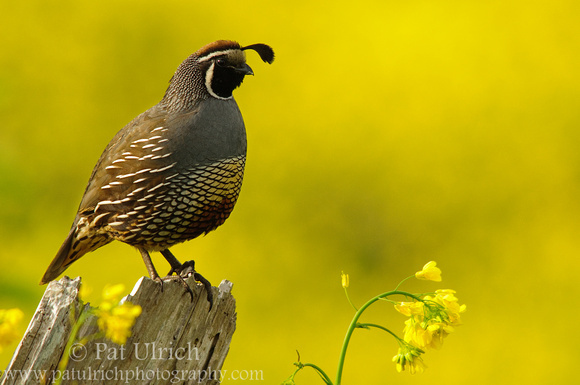 I was pretty excited when I saw the potential for this kind of shot with that bright golden field of flowers behind the quail -- although I wasn't sure if he would stay in place until I made my way close enough. 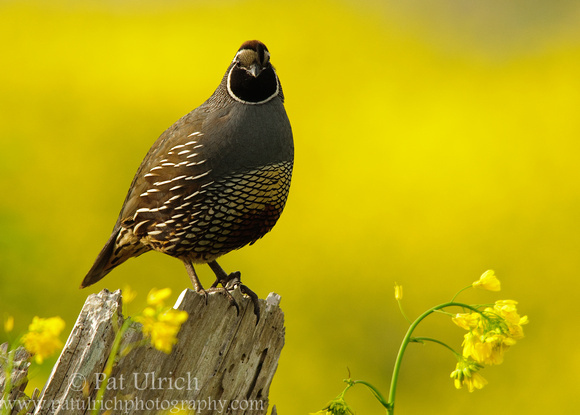 That finely detailed bird drowning in your sea of gold.And to top it all off: a few sprigs of what I presume is canola.